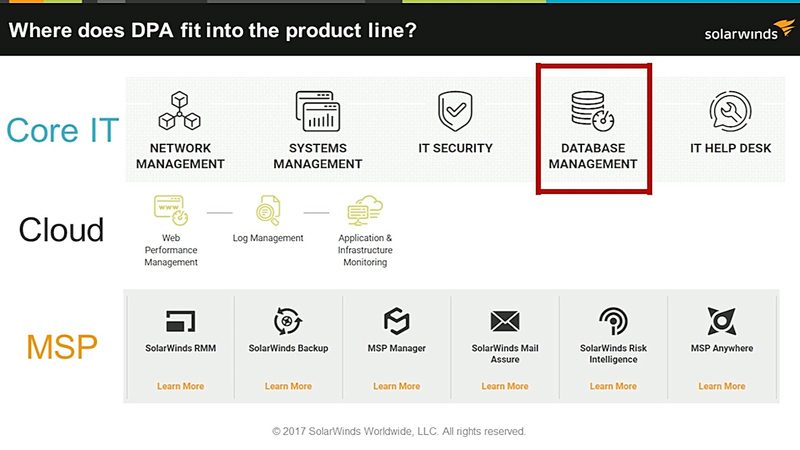 SolarWinds Has a Database Product Too? Why is DPA different than other monitoring products? How should I position DPA to customers and prospects? What’s in it for you – how can this product help me reach my quota?